Geneva, Switzerland, May 25 2018 – With just 15 days until the Christening of MSC Cruises’ new state-of-the-art flagship MSC Seaview, the leading cruise company in Europe announced today that Michelle Hunziker will host the glamorous event as the Master of Ceremonies in Genoa on June 9th. Born in Switzerland and now a popular star in Italy, the talented actress, TV presenter, model and singer embodies the international spirit of MSC Cruises. Screen-legend and Godmother of all MSC Cruises ships since 2003, Sophia Loren will be present to perform the traditional cutting of the ribbon to name the ship. Other special guest stars at the Christening include Lorella Cuccarini and the 50-strong children’s choir "Piccolo Coro Dell'Antoniano" who previously recorded the song “I Can Believe – MSC for UNICEF” as the soundtrack for the UNICEF awareness raising efforts on board MSC Cruises ships. To enable audiences at home to fully discover everything that MSC Seaview has to offer, MSC Cruises is collaborating with a select group of international personalities and content creators who will explore and discover the ship, sharing their experiences with their social media audiences across the globe. Each will bring their own unique style of storytelling to bring the innovative ship to life, the stars include English YouTube creator Fun for Louis, Italian film-makers The Jackal, German lifestyle gurus Maren and Tobias Wolf, as well as Spanish model and actor Jon Kortajarena and Brazilian presenters and actors Giovanna Ewbank and André Marques. MSC Cruises also revealed today that the partnership with Ramon Freixa will see the award-winning Spanish chef launch his first restaurant at sea exclusively on board MSC Seaview. Ocean Cay by Ramon Freixa is a luxury fish and shellfish restaurant that will offer a mouth-watering menu of dishes made with the freshest ingredients. Dishes include sophisticated scallop ‘a la gallega’ with Iberian ham, fideuá of king crab and duck confit and roasted sea bass with rosemary salt. 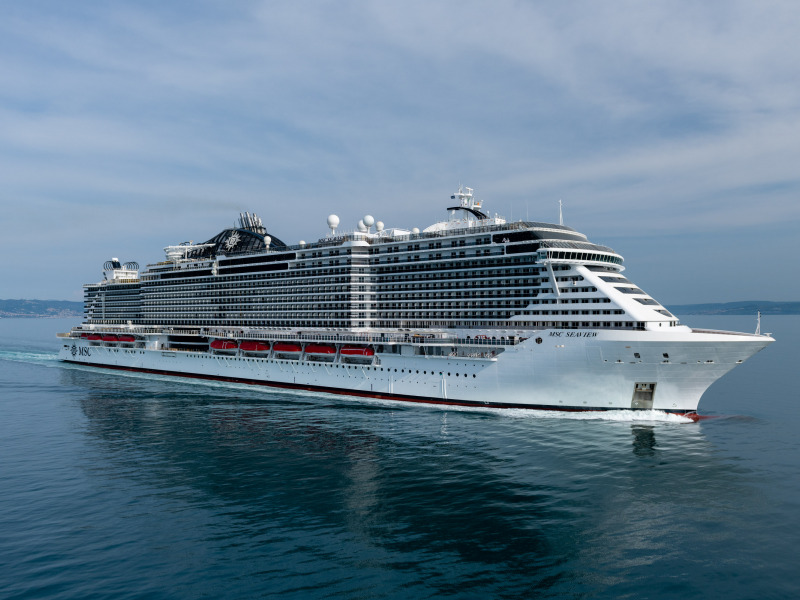 Following on from the successful launch of Asian Market Kitchen by Roy Yamaguchi on board MSC Seaside, Pan-Asian chef Roy Yamaguchi will be introducing his second restaurant in collaboration with MSC Cruises on board MSC Seaview. With three restaurants each with their own distinctive style and menu, Roy’s dishes are made with fresh ingredients inspired by flavours of childhoods spent in Hawaii and Japan. This summer, MSC Seaview, designed for the Mediterranean, will bring guests a unique and distinctive way to enjoy the sea. Quite unlike any other cruise ship that will sail in this popular cruise region, MSC Seaview promises guests an unforgettable cruise holiday. 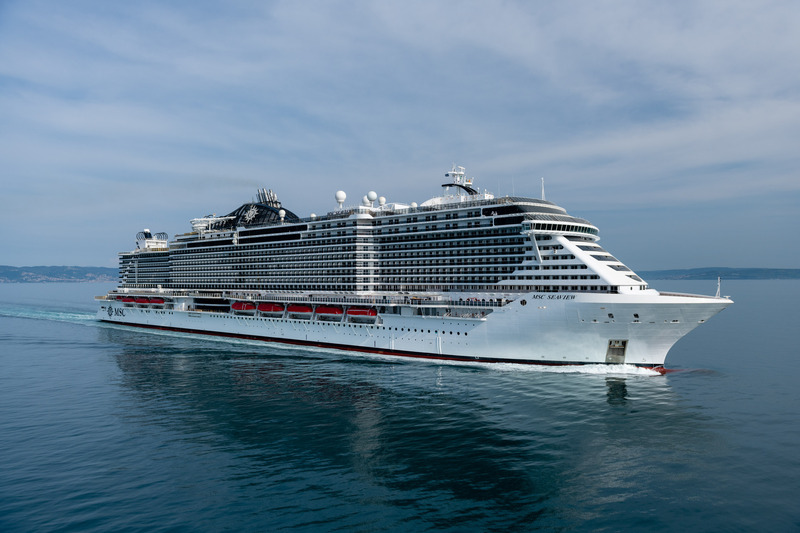 With a ground-breaking design, cutting-edge guest technology, a rich array of dining options, world-class entertainment, an award-winning family offering, stylish and comfortable accomodation, the innovative new flag-ship from MSC Cruises will really turn heads this summer. To find out more about MSC Seaview visit here.